itsAlyx: Once upon a time... I was an angel. Yo. I'm guest posting here today. Read my post, then stay and check her blog out, because she is super awesome. Before I get to the main point of this post, I have a very important question for you! SPONSORSHIP OPTIONS WILL CHANGE AND PRICES WILL RAISE IN AUGUST. My blog has 700+ followers via GFC, Bloglovin, and RSS. My blog has 550+ followers through social media networks such as Twitter, Facebook, and Instagram. I had over 18,000 pageviews during the month of May, with 3,500+ unique visitors. I average 600+ page views per day and 30 comments per post. Anyway. Once upon a time, I was an angel. No, I was not an angel in one of those Christmas pageants. I was never cute, blonde, or curly enough for that role. I'd probably end up being one of the oxen or something. I was also never one of Charlie's angels, even though it's pretty obvious that I would be awesome at it. What I was (and still am, actually) is a blog angel. I bet you're wondering what that means. It means that I follow someone's blog, help them out, show them bloggy love, stuff like that. I can't tell you whose angel I am, because that would just not be cool. I can tell you, though, that it's been pretty awesome. I have no idea who my angel is. Angel, are you out there??? I have to admit, though, it's been pretty tough. I don't really know what more I can do as a bloggy angel that will not be like me standing on the rooftops saying, "[insert name here], I AM YOUR ANGEL!!!" So for now it's been consistent blog reading and commenting, the occasional social media shout out, etc. etc. 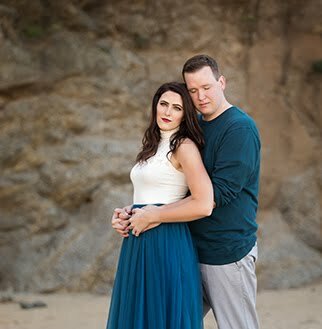 If anyone has any ideas as to how I could be a better angel, let me know (just don't tell me to wear a halo, because that'll mess up my hurrrr). If you're interested in being a blog angel, I think Rosie and Kaitlyn are planning on doing this again. But I'm not sure. Just ask Rosie. Finally, if you are some big-wig Hollywood person casting for the next group of angels for Charlie... PICK ME!! I think they are in a couple of months or so! I can't wait! I feel like you might be MY blog angel!? Is it me? Lol. You're amazing and um HOW cool would it be for someone to finally do an independent film on bloggers. It needs to happen SOON. Awwww, you're the sweetest person EVER! I don't know what a blog angel does, but you definitely deserve a medal for being someone's angel! Hope you have a wonderful day! 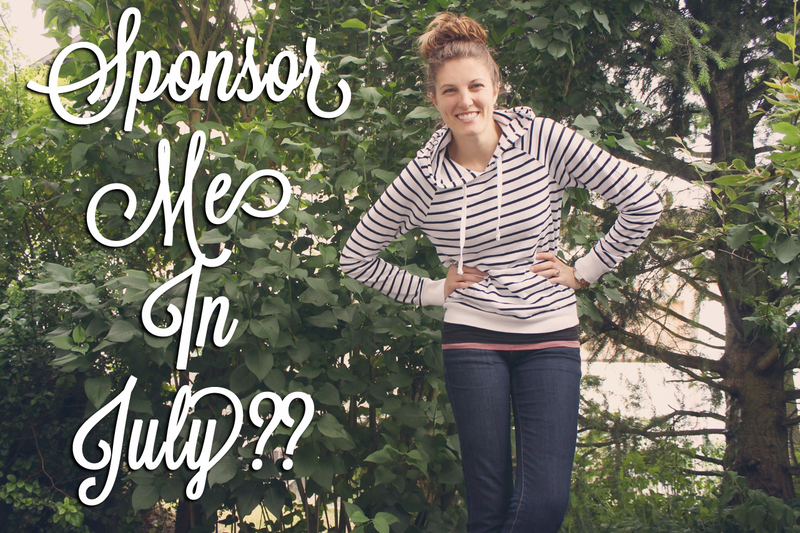 I want to sponsor you! We can swap if ya wanna! Also, I plan to link up tomorrow! Yay! Thanks for being one of the first ever blog angels. Knowing someone is reading your blog and commenting is one of the best gifts of all! Don't put your efforts down. I always love seeing your comments on my blog! Don't forget to link yourself up to the party when you get a moment. I think you are a blog angel to everybody! Thanks for always stopping by and leaving comments, it means the world to me! I didn't even notice that you replaced Cameron D's face for your own until just now! haha. you ARE an everyday blog angel and in other news I'm beyond pumped for Christmas in July!!!!!!!!! I am positive you are an amazing blog angel, because you write the best comments ever! Seriously. Cameron Diaz has nothing on you! What were they thinking skipping over you in the quest for Charlie's Angels? Unless they couldn't find hot male leads who were taller than you. I heard this rumor that most actors are actually really short... so naturally actresses have to be on the shorter side too. Totally lame. okay, that face in hole picture is beyond perfect!!!! hilarious! Thank you for participating! Everything that you are doing is super great and yes we are doing it again in August (woot woot!). If you want to do more things that include sending html codes, buttons, icons, etc. You can always send them anonymously through Rosie or I! :) Thanks again! I'll swap gum with you? I mean buttons. If you wanna?! You could definitely have been a Charlie's Angel! Did you ever take those pics with your gun pointing fingers like a doofus.... yeah, I have some of those from high school... haha.